From April 16 - 22, 2016, we are exhibiting at the DEVIntersection in Orlando, Florida. The DevIntersection is the umbrella conference name for 6 conferences: Visual Studio intersection, ASP.NET intersection, Azure intersection, SQL intersection, SharePoint intersection and Office 365 intersection. If you look at the speaker line-up, you will find top speakers such as Scott Hanselman, Jay Schmelzer, Scott Guthrie and Doug Seven. Since many years, we are supporting this fast-growing conference by exhibiting in the expo area and sponsoring the event. We always use this spring event to present our product roadmaps for upcoming releases. Our product teams are on-site to give demos of early beta versions and new features. 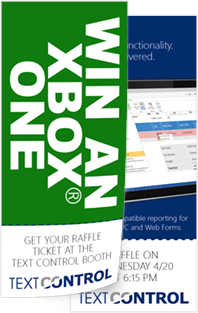 As always: In your attendee bag, find the green/blue rip card and bring it to our booth to enter our raffle.